The Federal Aviation Authority's decision to downgrade Indian civil aviation essentially means that DGCA has been found to be below par in meeting standards in technical expertise, trained manpower and maintaining records of air safety. Civil aviation experts are not surprised by the Federal Aviation Authority's (FAA) decision to downgrade Indian civil aviation, dropping it from Category I to Category II. The US aviation watchdog had pointed out 31 inadequacies in Indian air safety and maintenance standards some time back. The government had gone for a year-long audit and had been taking hasty steps to overcome them, but it was clearly not enough. The move essentially puts the brakes on all expansion plans of Indian carriers as far as the US is concerned. Current Indian flights operating to the US will be subjected to greater scrutiny. Also, Indian carriers will not be able to put their numbers onto the code share flights, severely limiting the advantages would have accrued to Air India after its impending membership of Star Alliance. So too Jet will not get code share of flights to the US with its Abu Dhabi partner Etihad. The downgrade essentially means that the Indian regulator, the Directorate General of Civil Aviation (DGCA) has been found to be below par in meeting standards in technical expertise, trained manpower and maintaining records of air safety. It does not have skilled technical staff in the organisation. "We have made the required recruitments and have also put procedures in place for airworthiness testing. But the FAA is basing its downgrade decision on the December 13, 2013 audit," Singh told Business Today. The minister who has not been able to push through his major reform of replacing the DGCA with an independent Civil Aviation Authority says that he will introduce the Bill in the current session of Parliament. "The standing committee has already approved the Bill. There were a few changes that needed to be made. We have made those changes and we will take these changes to the Cabinet and then present the Bill in Parliament after the cabinet approves it," Singh said. Similarly, a senior civil servant added: "We had met all the FAA requirements. The downgrade was very shocking and seems motivated by the recent deteriorating relations between India and the US after a diplomatic row that rocked both the countries in 2013." 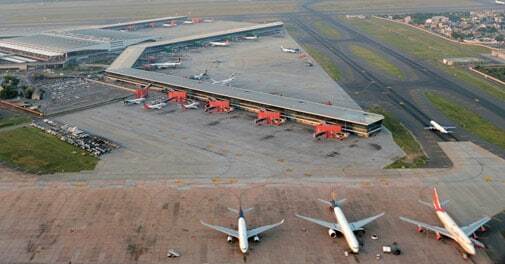 The civil aviation ministry also released a press statement pointing out the International Civil Aviation Organisation (ICAO) Assessment of India on Universal Safety Oversight Audit Programme (USOAP) showed this country's standards much above the global average. As per ICAO 2013 Safety Report of December 2012, India figures among the nations that have 'Effective Implementation' above the global average, which is 61 per cent. India's Effective Implementation stands at 79.1 per cent, the release said. But that fact remains that India lags behind in effective implementation of the critical element of `organisation'. The ministry said India has already created 75 posts of Chief Flight Operations Inspector (CFOI), Deputy CFOIs, Senior CFOIs and FOIs. Experts, however, point out that the issue the FAA had raised was about having resources with expertise in civil aviation, which is not resolved simply by creating positions and hastily filling them up. Industry insiders maintain that the FAA's point about India not having enough qualified and impartial personnel for testing aircraft for airworthiness, enough quality control mangers from airlines to carry out checks on aircraft and also not having these officers in certain stations that are in far flung areas had led to it questioning the whole system the Indian civil aviation regulator had adopted. The system also created conflict of interest as these officers carrying out checks were from the airline alone. "Basically the US authority maintains that by following these inadequate checks, Indian airlines are making the US skies unsafe," an industry expert said. Reforms in the Indian civil aviation sector and the DGCA have been talked about for a long time but none of the civil aviation ministers have been serious them. Under former DG Bharat Bhushan certain reforms had been initiated and he had tried to digitize the safety records and reform the pilot licensing system, but his stint was short lived and he was unceremoniously removed by Ajit Singh. The US authority had first threatened a downgrade in 2009. At this time about 500 employees were required to fill in the vacancies. "At that time too the posts were not filled and the practice of taking senior pilots as secondment from the airlines to the DGCA started. This resolved the immediate issue but then it raised many others like conflict of interest," said an industry source. Certain senior officials of Air India felt strongly that the FAA's move was an underhand effort to stop Air India's expansion to the US and was purely driven by commercial reasons. "Air India started flights from Delhi to Chicago on the Boeing 777s and these flights were doing very well. In fact US carrier American Airline had to pull out its flight out from the same route in 2010 as Air India took away its business. Air India also plans to increase flights to the US soon in its summer schedule," said a senior Air India official. He also pointed to a case in the US courts filed by a pilots' association and conglomeration of airlines objecting to cheap loans given by the US Exim Bank to Air India to buy aircraft. "There are very strong commercial interests driving this move against India," he added. Indian carriers have 28 weekly flights to the US, of which 21 flights are operated by Air India. The move will help the already strong Middle East and European airlines pick more traffic from India. Independent aviation analyst Monet Paes says there is a broader impact of this downgrade. The FAA has international clout and civil aviation authorities in other countries might just follow its example and question safety standards in India. Japan had done so some time back. The downgrade will also impact Indian carriers' ability to enter into favorable sale and lease agreements as issues have been raised about the maintenance of the aircraft here, and leasing costs might shoot up, Paes said, extending the same logic to insurance premiums. Ajit Singh said there was a dialogue on with the FAA. But the fact remains that unless the Indian government addresses the real issue of overhauling an old and crumbling DGCA by bringing in professionals and technocrats and also by making it an independent regulatory authority fundamentally things will not change for a sector that is already over regulated.